Competition is good for the soul! There is an age old competition playing out on the Concord River. 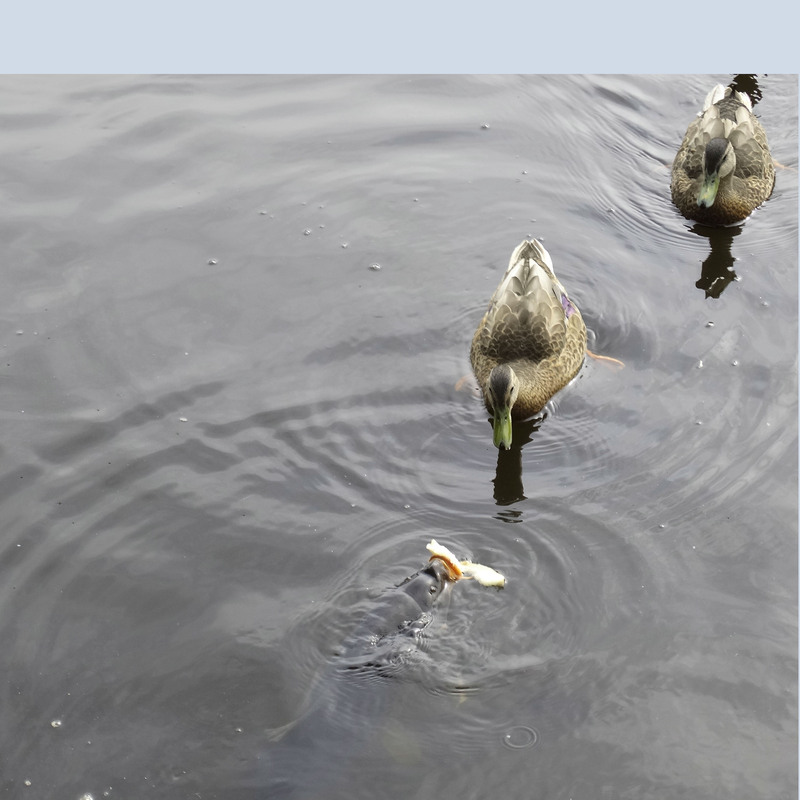 It’s between the ducks and the other animals who like to eat the ducks. 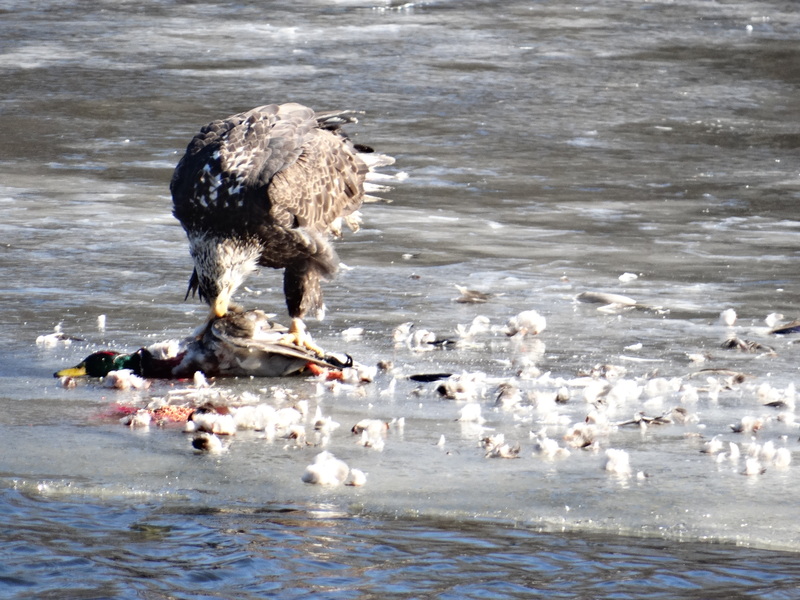 For example, we saw in December that a plump Mallard drake can make a tasty holiday dinner for an eagle. Snapping turtles take their share of limbs. 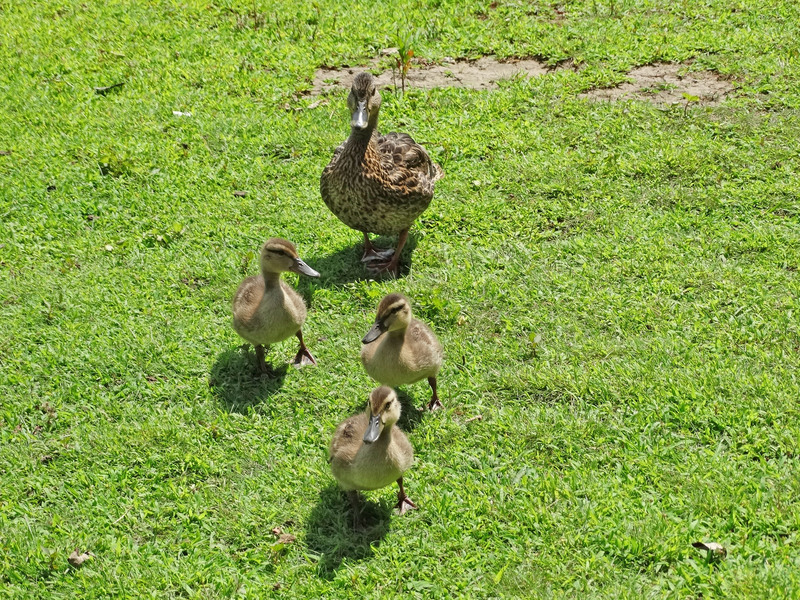 Many battle worn ducks trudge up and down the beach, quacking about missing feet and legs. One-legged and living the dream! 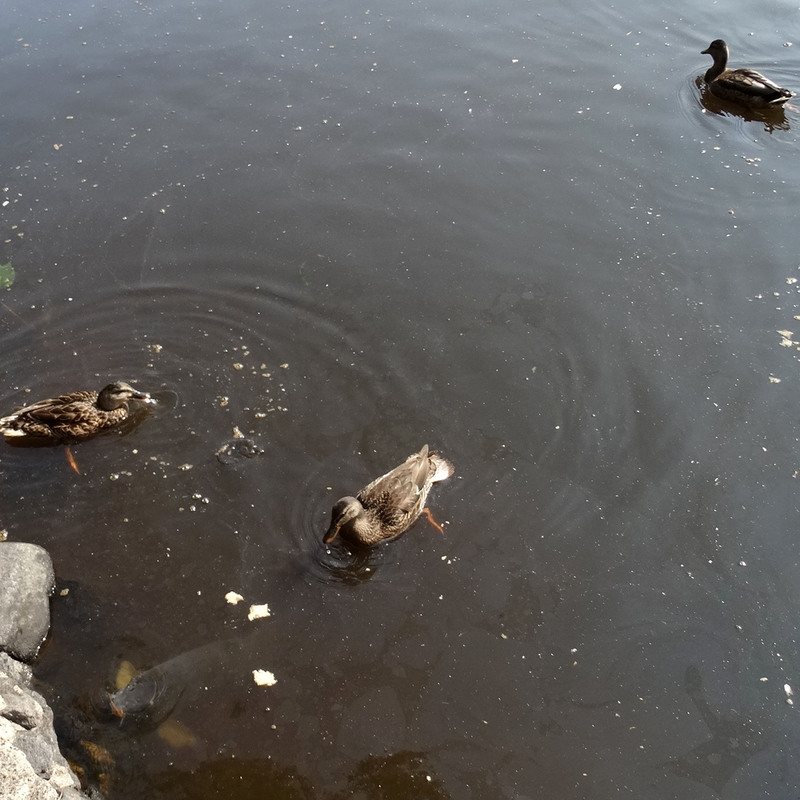 Even the ducklings are fair game for whichever predator desires tender duck meat. 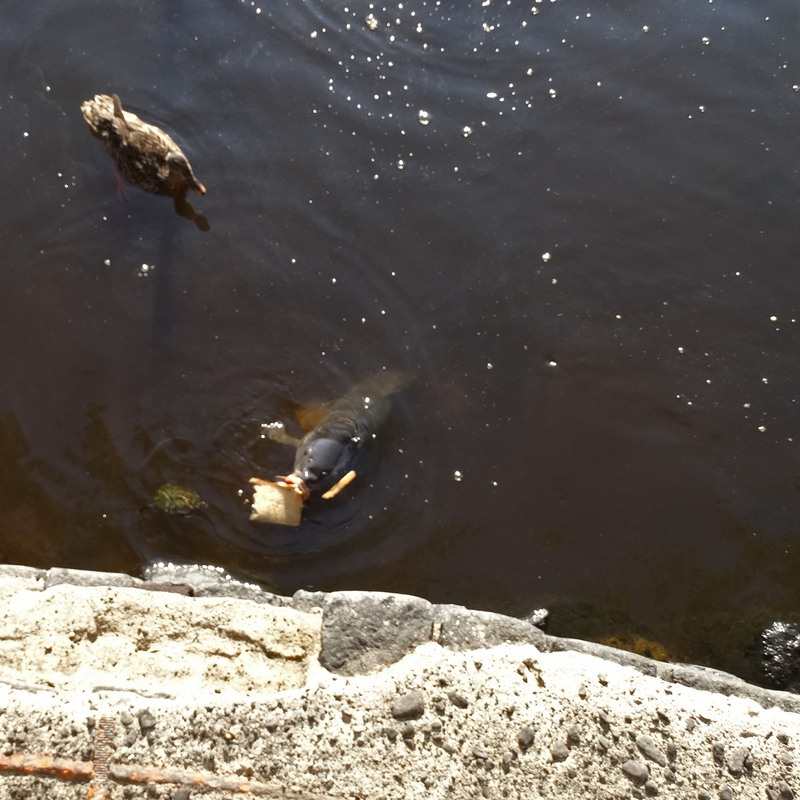 But, the most fascinating competition that I get to watch is the interaction between the ducks and the carp. First one to get the bread wins! 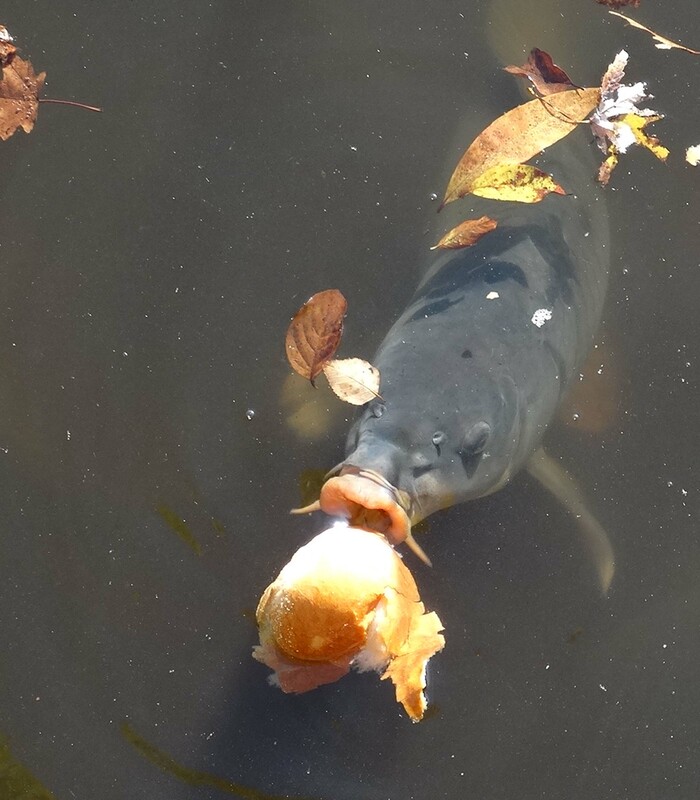 Aggressive fish with large mouths and massive bodies, carp are fierce competitors when it comes to survival. 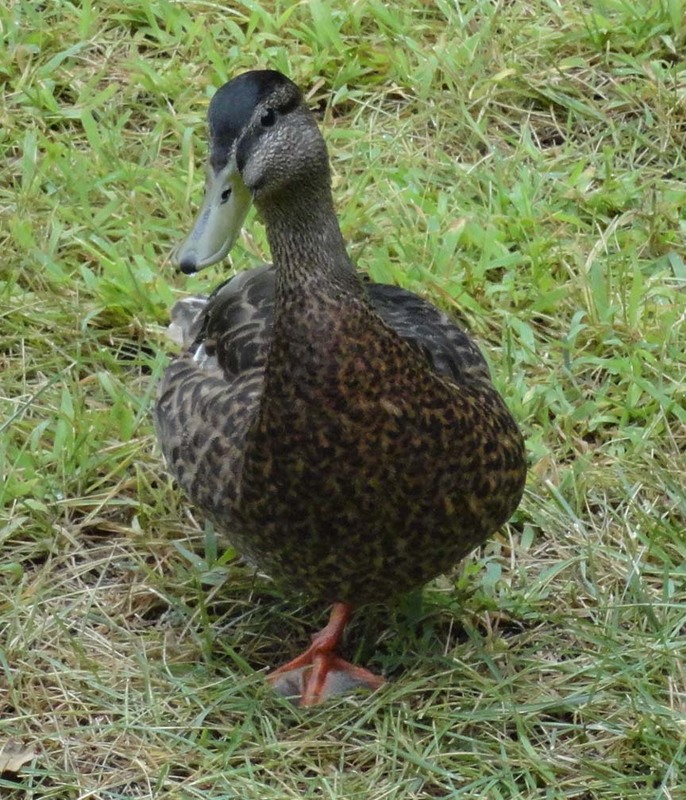 Typically, a pair of dangling, webbed feet don’t stand a chance against 60 pounds of fish muscle. I’ve witnessed my share of ducks being pulled under the water. Most of the time the duck will fly out of the water like a bullet! On one occasion, it never emerged. 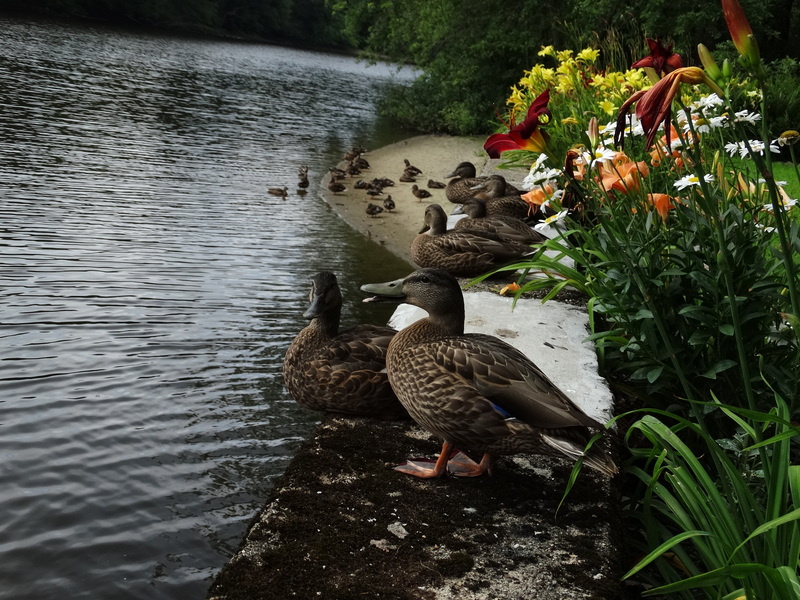 My ducks attempt to hold their ground (or would that be water?). 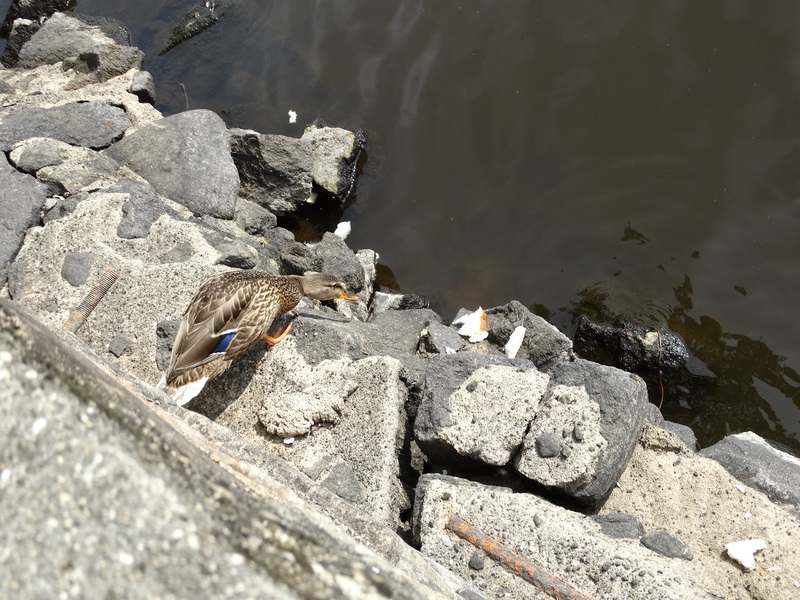 Some of them have figured out that the bottom ledge of the retaining wall offers protection and the crazy woman with the bread still feeds them. Stealth is also a proven survival technique! And for the cowards in the flock, staying by my side on the retaining wall works too. 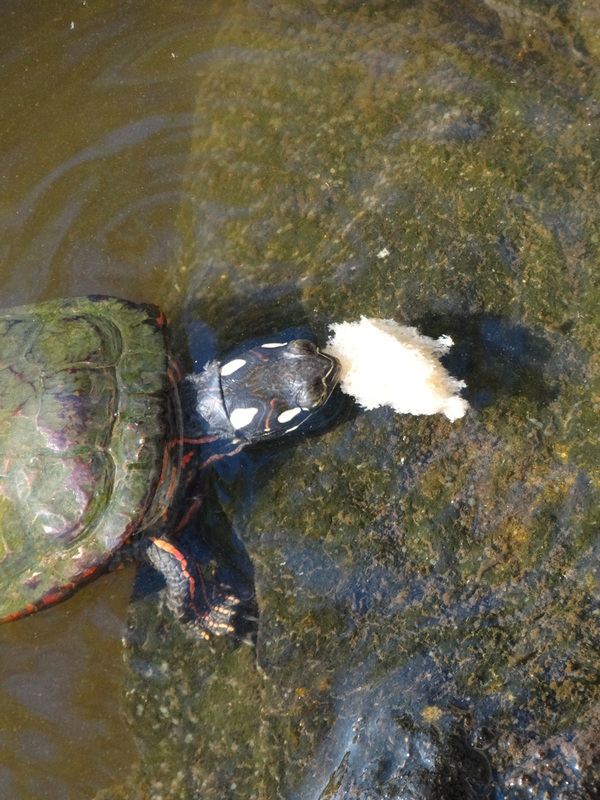 Lately, the painted turtles have entered into the mix. Hey, why miss out on a good thing just because some bully wants to hog all the bread? As I watch the daily drama, with pure survival at it’s core, I remember the words of Charles Darwin, “In the long history of humankind (and animal kind, too) those who learned to collaborate and improvise most effectively have prevailed.” Life, and survival on the Concord River is about improvising and moving forward. Throw into the mix one crazy lady and it won’t ever be dull. Gallery | This entry was posted in Life on the Concord River and tagged American eagle, animal behavior, animal survival, are carp agressive, behavior of carps, blog about animal behavior, blog about birds, blog about ducks, blog about living on a river, blog about wildlife, carp and duck, Christmas day massacre, concord river, Concord River Lady, cool blog about nature, ducks missing limbs, eagle eating duck, Eagle eating Mallard, great blog about carp, great blog about living on a river, life on a river, life on the concord river, living on a river, living on the Concord River, Mallard, mallard ducks, Mallards, painted turles and carp, relationship of ducks and fish, River Lady, riverlady, single woman living on a river, stories about living on a river, stories about living on the Concord River, survival on a river, what do carp eat. Bookmark the permalink. 1 Response to Competition is good for the soul!